Millions of people forced to migrate from their homes face socio-economic difficulties. In this process, the most long-term problem they face is their integration into their new community. 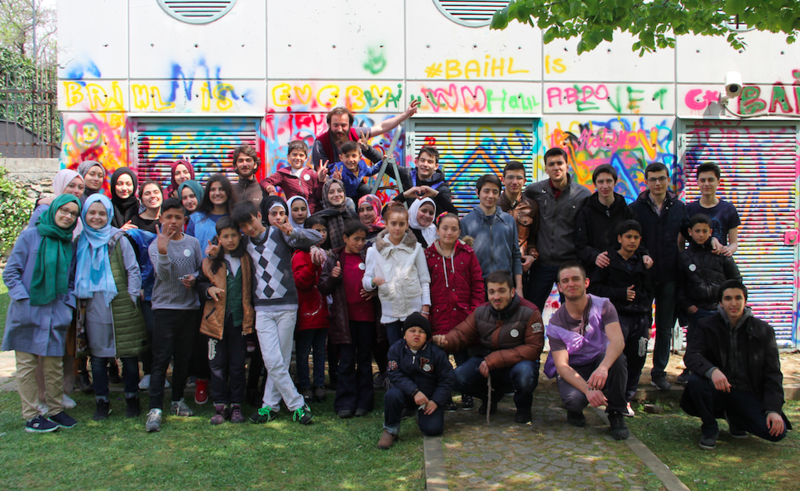 Since 2014, our team has been working for the social integration of refugee children living in Istanbul. Only 38% of school-age refugee children are able to attend school. Education, put second mostly due to financial constraints, makes a lost generation inevitable. Our team aims to help children who cannot go to school and to support those who do. Any help given from the heart is invaluable to the children. In this direction, our team carries out organizations for the moral and material needs of our little heroes and their families. Witness our unity with our little superheroes. 86% of the world's refugees seek asylum in underdeveloped and developing countries. In countries where vital needs of refugee families are barely met, families are not able to prioritize education. In the current situation, due to insufficient resources, lack of adequate teachers and curriculum, refugee children are 5 times less likely to continue their education when compared to non-refugee children. In addition, refugee children who work contribute a significant portion to the household income, which increasingly leads these kids to miss out from a real childhood and proper education. The thousands of children living in Turkey for more than five years now constitute a lost generation. There are 22.5 million refugees in the world. 13% live in Turkey. 52% of refugees in Turkey are children. 62% of refugee children can not go to school due to various reasons. There is no clear data on working children, but according to UNICEF estimates, 1 in every 10 children is in the workforce. Hiraeth is a Welsh word. Not existing in any other language, it expresses the yearning for one’s homeland when returning back is no longer possible. The Bond Project has started! A man walking on the shore, sees someone throwing things into the sea. The man gets a little closer and realizes that the person is throwing washed up starfish back into the water. "Why are you throwing these starfishes back into the sea?" he asks. “For them to live,” says the person, continuing to throw the starfish back into the water. The man responds with surprise: "Okay, but there are thousands of starfish. There is no way for you to throw back all of them. What good would it do? What would it change?” The person picks up another starfish from the sand, throws it into the sea and replies: "Look, a lot has changed for him."